I’ve only recently jumped onto the beet bandwagon. In the past, I stayed as far away from them as I could because, for me, I always thought they tasted a little too much like dirt for my liking. Fortunately, with age comes wisdom, and now I consider them to have an “earthy” taste that, only in my mid 50’s (there, I said it. LOL), I can truly appreciate and enjoy! 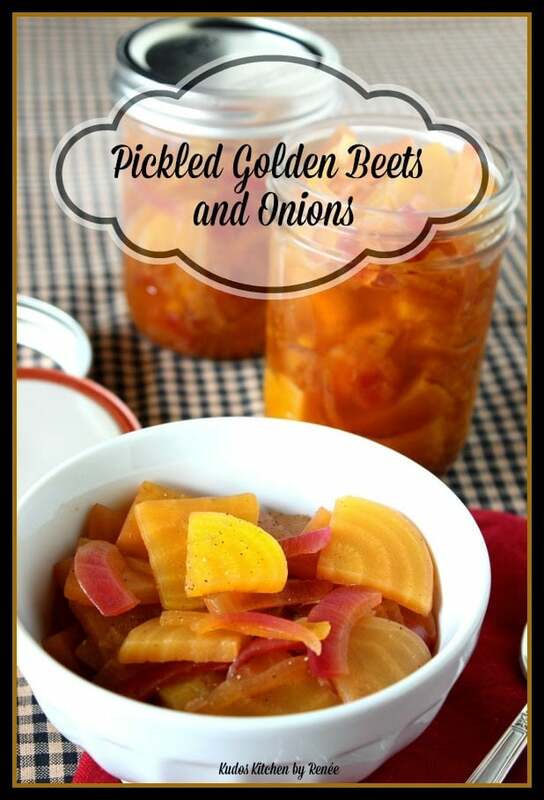 Since “Saving Summer” is the theme for this weeks #SundaySupper it seemed only fitting to me that I try and preserve my new-favorite vegetable…beets, with this recipe for Pickled Golden Beets and Onions. -Bring a large pot of water with 2 teaspoons salt to a rolling boil. Add in the sliced beets and reduce the heat and simmer the beet until tender (approximately 10 minutes). -Drain the water and add the beets into a large non-reactive bowl. Set aside. -In a medium sauce pan over medium heat, simmer the sliced onions, apple cider vinegar, sugar, allspice and honey (approximately 5 minutes). -Stir in the remaining 1 teaspoon of salt. -Pour the hot onion and apple cider mixture over the beets in the large bowl. Stir well to combine. -Allow the mixture to cool to room temperature and once cooled, cover the bowl with plastic wrap. -Refrigerate at least 8 hours. 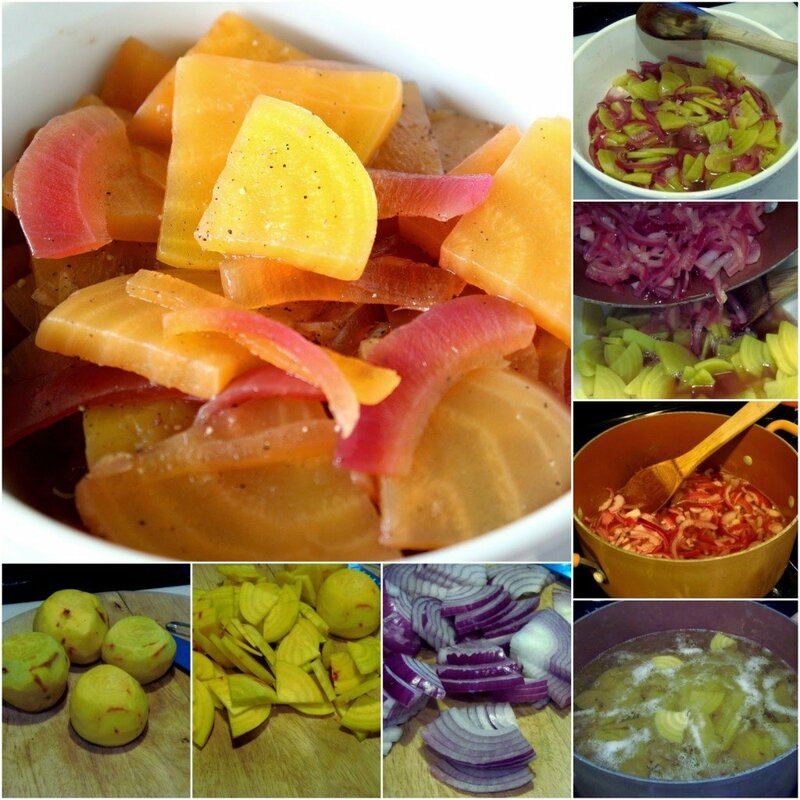 -Spoon the beets and onion into jars and refrigerate until ready to serve. A special shout out and thank you goes to Tara of Noshing with the Nolands and Stacy of Food, Lust, People, Love for co-hosting this very special #SundaySupper week of saving summer. If you’re looking for more recipes and ideas for canning, preserving, freezing and Saving Summer in general, the #SundaySupper group has got you covered. Just click on the links below for everything you’d possibly need to save your summer for as long as possible. I am a huge fan of beets, Reneé, so I'll be making these soon. The good part is that the husband is still in the hate-beet camp so I won't even have to share. Oh my gosh! What an incredible idea! Out of the bests, I love the golden ones. I could LIVE off beets. They are my absolute favorite vegetable. Sadly, my little backyard garden is never very successful at growing them. I will be planting more in hope of having enough for pickling! Just looking at your title had my mouth watering. I love beets and would adore this recipe!! 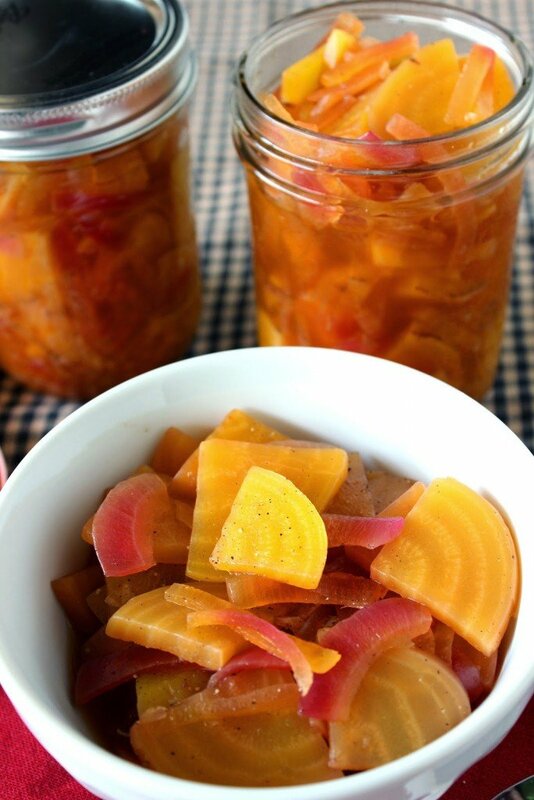 My mom used to pickle beets…and I loved them! 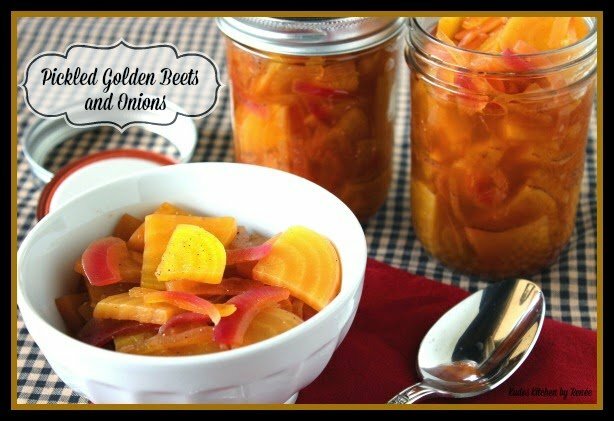 Your golden beets and red onions are a gorgeous color combination…and I could do major damage to a jar of these!!! I am loving these colors on this! Of they look so tempting!!! I LOVE pickled beets, I definitely want to try this sometime. I love beets, but I have never seen them in such pretty, sunshiny colours! Just lovely! I love pickled beets! Yours look soooo good! Your golden beets are so pretty! We tried growing traditional beets for the first time this year, but next year I think we will add some golden ones to the mix. I've never been a huge beet fan either, but I'm coming around. Dishes like this definitely help!